Picasa Text on Picture – Learn Picasa and Google Photos! 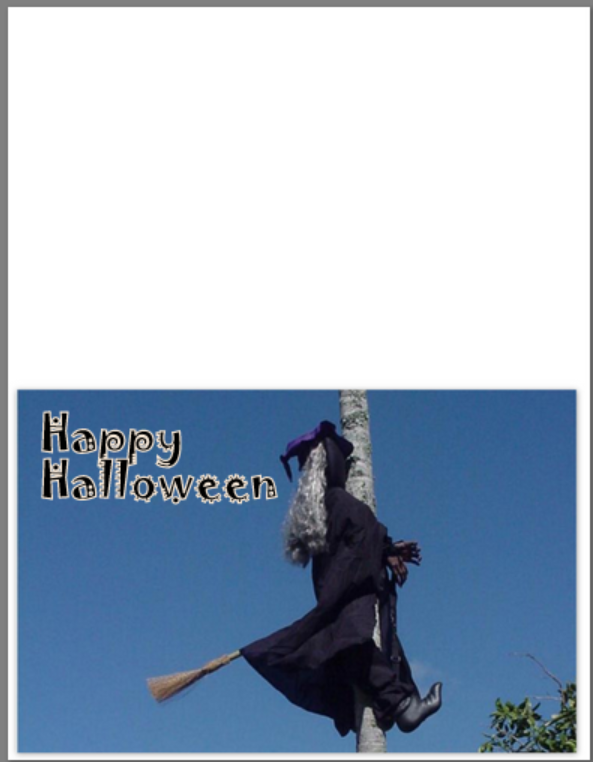 Someone recently asked me how she could make a greeting card using Picasa. 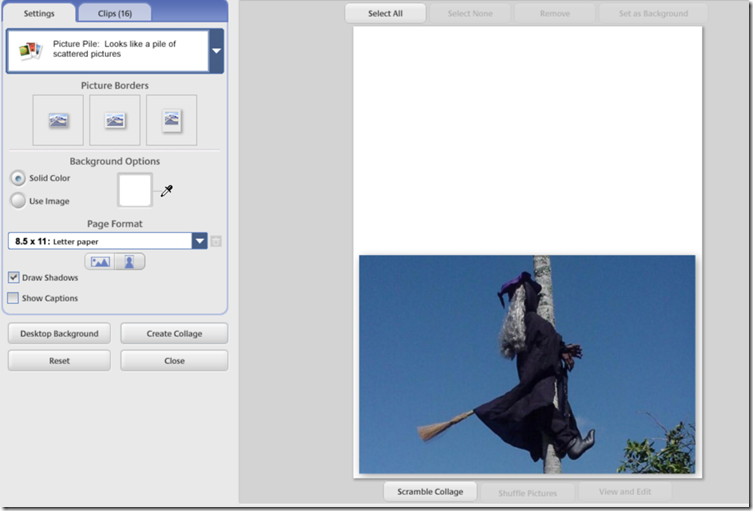 I came up with an idea that seemed to work, using the Collage tool, so I thought I’d pass it on as a Picasa Tip. Although, truth be told, if it were me, I’d use something like Send Out Cards, or use Picasa’s File->Order Prints and a service like Shutterfly to make professional greeting cards. But, if you really want to print your own, this is actually a great example of how flexible the Collage feature is with Picasa. 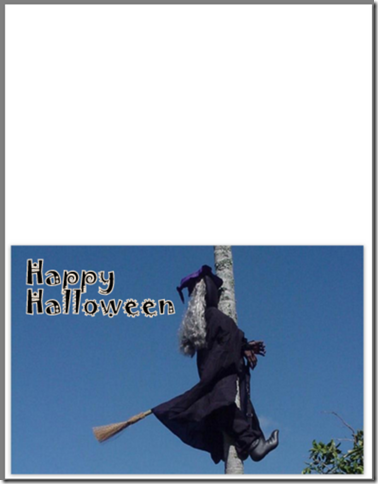 Here’s the steps I took to make a Halloween card. I used standard size paper – 8.5 x 11 – folded in half to make a card that opens from the bottom. Choose your photo and make sure it is properly cropped to fit proportionately in the space provided. I wanted the picture to cover the front of the card. That would be 8.5 x 5.5. So, I cropped accordingly. With that picture, and only that picture selected, I started the collage … Create->Picture Collage. I chose the “Picture Pile” style and set my page size to 8.5 x 11 Letter paper in the vertical/portrait orientation. I dragged the sizing handle of the picture until it filled the bottom part of the page, and it was straight. I made sure the background color was solid white. Now, with the collage picture, I might want to add some text to the front of the card. Just use the text tool, type some text and choose some colors. I chose the “Jokerman” font. You’re ready to print! Then, I would use another program, like PowerPoint, or Word to print text for the inside of the card. Or just leave it blank and handwrite your own message. If you want to give this a try and need more help, we have several tutorial videos on our Geeks on Tour site for members. If you’re not a member, you can join here.